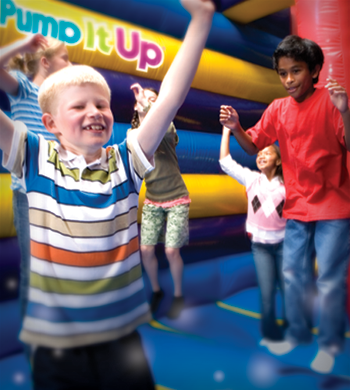 Celebrate your troop by spending 1 1/2 hours jumping in our supervised play area followed by 30 minutes in our fully decorated party room. Includes: 2 slices of pizza / drink per child and party supplies (cups, plates, forks, napkins etc), set-up, clean-up and pre-party planning. Pump It Up Patches are availabe at $2.50 each. 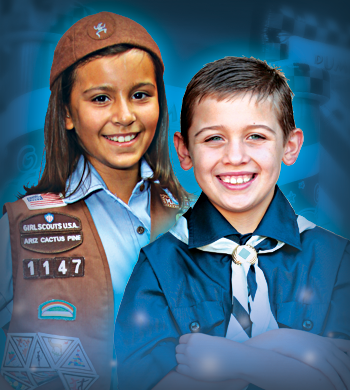 Call to reserve your scout party today! 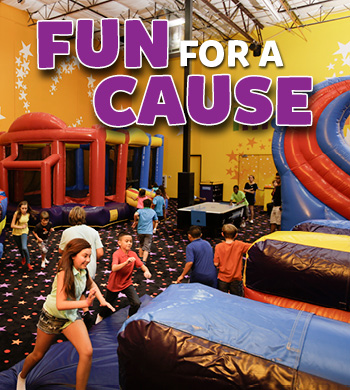 Add 2 slices of pizza & drinks to your field trip for only $3 per child or, for an additional $50, you can bring in your own sack lunch and use our party rooms after jumping!